What Is the Best Time To Hunt Moose? Moose are the largest of the deer species, with mature male bulls reaching heights up to 7 feet tall with an antler span of 6 feet wide. Most moose are found in Canada, Alaska, New England, Fennoscandia, Latvia, Estonia and Russia. Moose, unlike other deer species, are solitary animals and do not live in herds. Despite their size, moose can reach speeds of up to 35 miles per hour if they become upset or spooked, so it is important to approach these giants with extreme caution. Location: Moose are at home near bodies of water such as lakes, bogs, swamps, streams and ponds. They are built to withstand the cold temperatures of their natural habitats and find survival in warm climates difficult. Locations with young trees and swampy lakes are ideal moose habitat. Solunar Calendar: According to a theory laid out by John Alden Knight in 1926, animal movement is affected by the position and fullness of the moon. This theory was said to be used by hunters and fishermen long before Knight’s theory was published and is still widely accepted and adopted today. Time of Year: Mating season for moose begins in late September and continues through mid October. Hunting during this time of year is ideal, as moose are much more active and bulls are more likely to respond to calls. If hunting later in the season, your search for a bull may take you deeper into the forests. Time of Day: The best time of day for moose hunting is during the coolness of early mornings and evenings when moose are the most actively in search of food and water. However, don't neglect the mid-day hunt, as many moose can be found roaming prime locations at this time as well. Temperature: Moose are made for cooler climates. Warmer temperatures typically lesson your chances of spotting a bull, as they do not travel far during times of warmer weather. However, if the temperature is higher than average for the season, look for moose near cooler areas including small bodies of water and swamps where moose will retreat to to cool off. Barometric Pressure: As a part of the family, moose behavior can be likened to that of other deer species in relation to changes in barometric pressure. As the air pressure decreases, moose activity tends to increase as they search for food and shelter from the oncoming front. General Weather Conditions: Moose may be built for extreme conditions, but that doesn't mean they are fond of them. Moose will seek shelter from unpleasant weather in wooded areas or swaps which provide protection and better food sources. Wind: Like other deer species, moose have an extremely good sense of smell. Use the wind to your advantage when hunting and make sure to set up camp on the outermost boarder of a likely hunting area so as to not spook the moose by your scent. Want To Find The Best Hunting Times For Moose? Technology is often to blame for keeping people isolated and cooped up indoors. At Sportsman Tracker, we aim to provide digital tools that get our users off the couch and into the great outdoors. 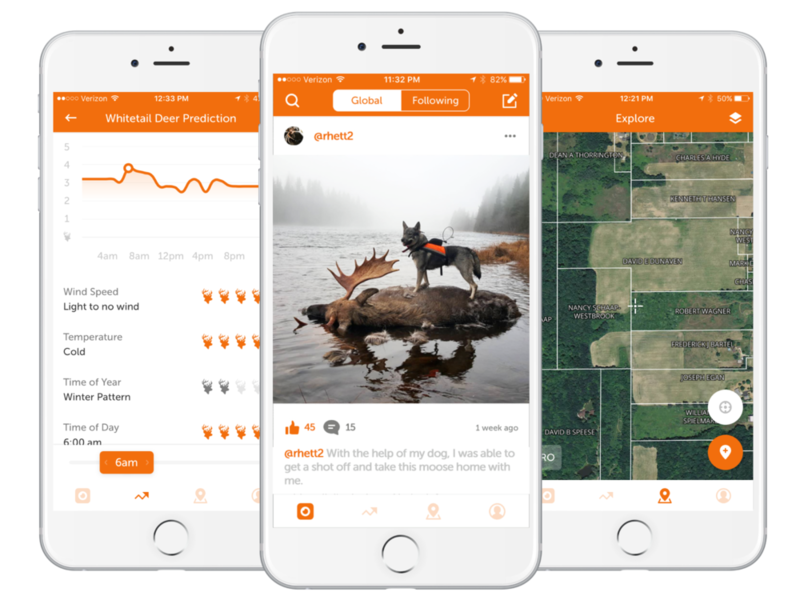 As the digital backbone to the hunting and fishing industry, Sportsman Tracker is dedicated to creating great hunting experiences for sportsmen across the country.